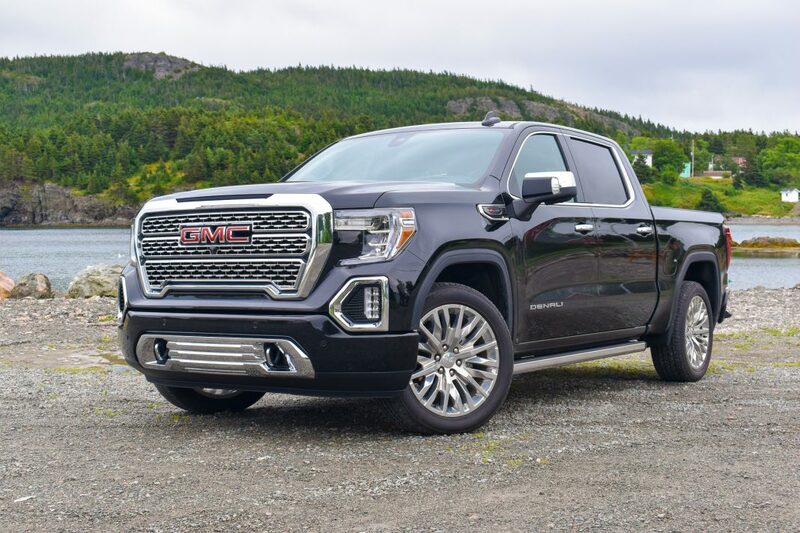 All new from the ground up for 2019, the GMC Sierra Denali is a full-size pickup for those looking for a capable tow vehicle that provides a more luxurious experience than other offerings on the market. In GMC’s product line, the Sierra has traditionally served as the “luxury pickup” cousin of the Chevrolet Silverado. 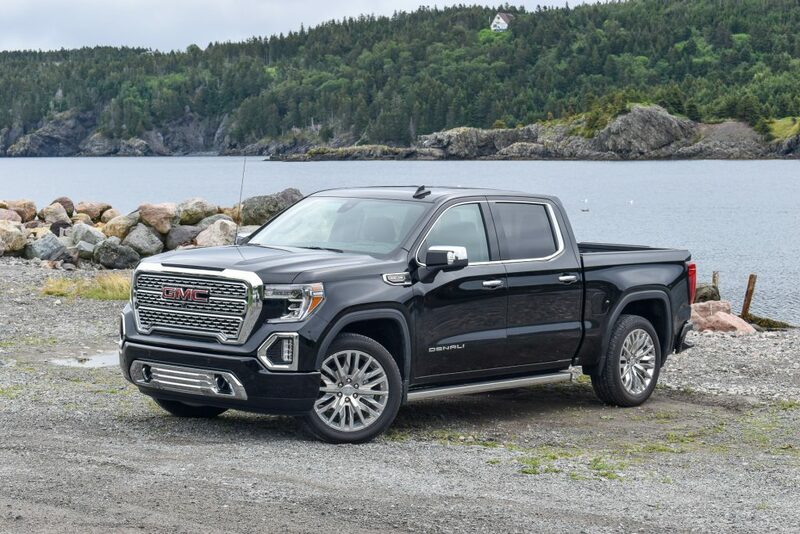 The Denali trim line on GMC vehicles, and on the 2019 Sierra, represents the absolute peak of luxury in the company’s lineup. 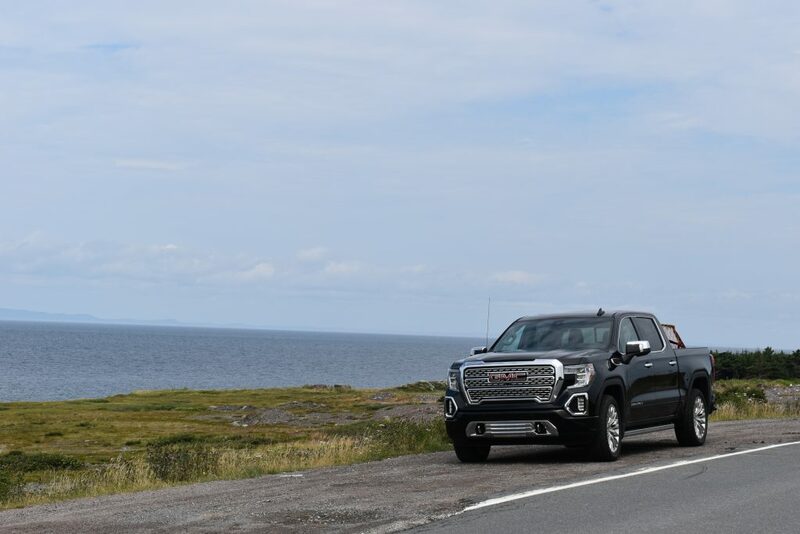 RV Lifestyle Magazine was fortunate enough to be invited to test out the GMC Sierra Denali in St. John’s Newfoundland over a weekend in late August. The latest iteration of the GMC Sierra Denali has received a makeover and a host of new technologies designed at making your towing experience as easy and as stress-free as possible. The Sierra Denali has been given a thorough redesign for the 2019 model year with the exterior of the truck being designed to give the truck a tall, proud stance with more of a presence while on the road. The first thing you notice about the Sierra Denali is the all-new grille. Much larger than previous generations, the Denali trim line receives a dramatic new grille with a tighter weave to it than other trim lines. The large grill, in combination with the large hood, C-shaped LED headlamps, fog lamp bezels and recovery hooks on the front bumper all help to give the Sierra Denali the tall and proud stance that GMC is after. Our test unit was fitted with the optional 22” aluminum wheels, which also helped accentuate the presence of the truck on the road or while parked. The truck has touches of chrome from the grille all the way to the bed. The Denali trim line receives bright chrome finish on key exterior accents including the side mirrors, window surrounds, and badging surrounds. Our test unit came in the “Onyx Black” exterior, which accentuated the chrome and helped give the truck a rugged but luxurious and premium look. 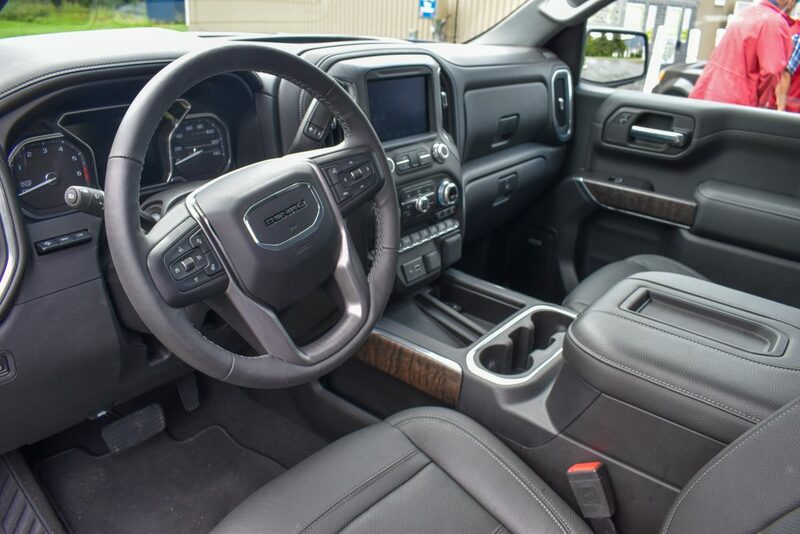 Inside, our truck was fitted with the “Jet black” interior with sharp Forge black leather complemented by aluminum trim. On the doors, a pore ash wood trim surrounded by aluminum was a nice touch. Inside, you will be surprised by just how much room there is. This is especially true in the rear of the vehicle where GMC has added an additional 3” of legroom, providing room for even those on the taller side to stretch out. Also inside, you will find a variety of storage options, including a centre console big enough for hanging files, a double glove box and some ingenious storage in the rear seats. The 2019 GMC Sierra Denali has a variety of engine configurations available for it. Our test unit was fitted with the 6.2L V8 producing 420 horsepower and 460 lb.-ft. of torque mated to a 10-speed automatic transmission. A 5.3L V8 is also available. When fitted with the 6.2L V8 the Sierra Denali gets a tow rating of 9,300 lbs. While you may not expect to get great fuel economy out of a 6.2L V8, the engine has what GMC calls “dynamic fuel management,” an industry first. Simply put, the Dynamic Fuel Management is cylinder deactivation technology, allowing the engine to operate on anywhere between two cylinders and all eight cylinders at any given time. GMC says that the engine can operate in 17 different firing patterns. This helps the Denali, when fitted with the 6.2L V8 get an estimated combined fuel economy of 17 mp/g (15 mp/g city and 20 mp/g highway). Three drive modes are available; tour, sport and tow/haul mode. Touring mode provides a comfortable ride, soaking up the bumps and road imperfections of Newfoundland (of which there are plenty) quite easily. The Sierra Denali is able to offer such a comfortable ride through a segment-first adaptive ride control. The truck monitors the driving surface along with driver inputs, making adjustments to the suspension damping as you drive to provide you the most comfortable ride possible. Sport mode stiffens the suspension a tad, tightens up the steering feel and changes the shift points of the transmission. Drive modes can be changed on the fly via a knob to the left of the steering wheel. Just under the drive mode selector, you will find the buttons for four-high, four-low, 2WD and auto drivetrain modes. Although it may seem excessive at first, the 10-speed transmission works very well in conjunction with the V8; shifting was smooth and timed well. Having this many gearing options for also helps out the fuel economy of the 2019 Denali. 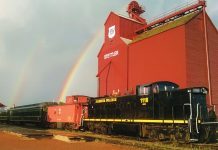 The traditional rearview mirror can be switched to a digital display provided by a camera at the rear of the truck with the press of a button. Apple Carplay and Android Auto are both available, while a myriad of cameras around the truck provide you with a seemingly endless array of visibility options. 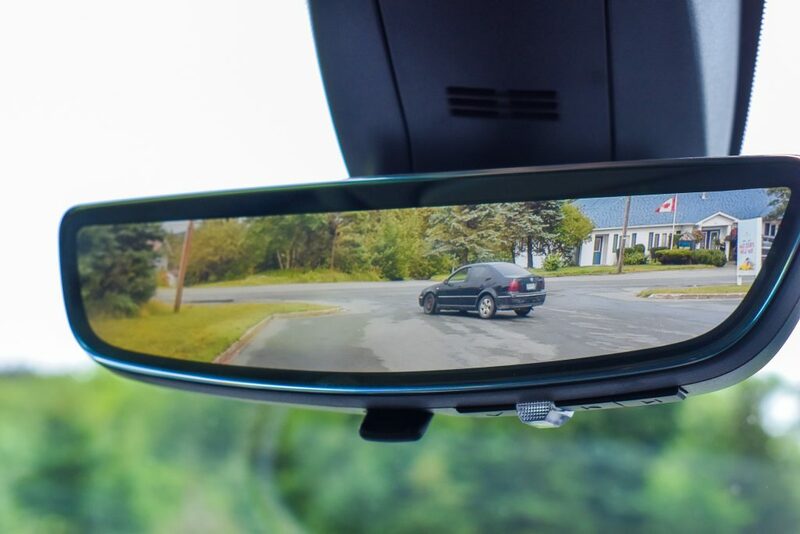 The Sierra has an option to have a camera in addition to the traditional rear-view mirror, which is an extremely sharp and crisp image of what’s behind you. Using this camera does mean that you can’t use the mirror to see what the kids are up to in the back seat. However, if you want to check up on the kids you can switch back to a regular mirror with the quick press of a button. The heads-up display is extremely useful, and we were pleasantly surprised at how crisp it was. It can display your speed, the directions from the GPS and other useful pieces of information, a neat feature that keeps your eyes where they’re meant to be: on the road. 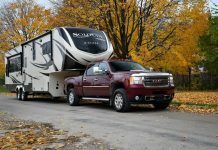 GMC has put a lot of thought into the towing experience of the 2019 GMC Sierra Denali and has included a “ProGrade Trailering Package,” stuffed with a host of technology designed to make towing an absolute breeze. The robust 6.2L V8 paired to the 10-speed automatic transmission is more than enough to tow most travel trailers with ease. 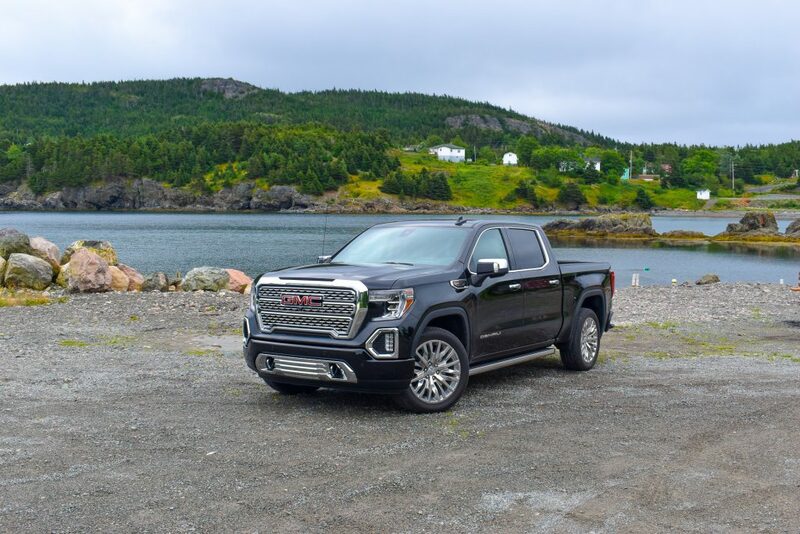 GMC says they have focused on making the towing process more enjoyable rather than simply increasing the vehicle’s tow rating. No matter your skill level or experience with towing, be it novice or pro, you will certainly find this technology to be useful. 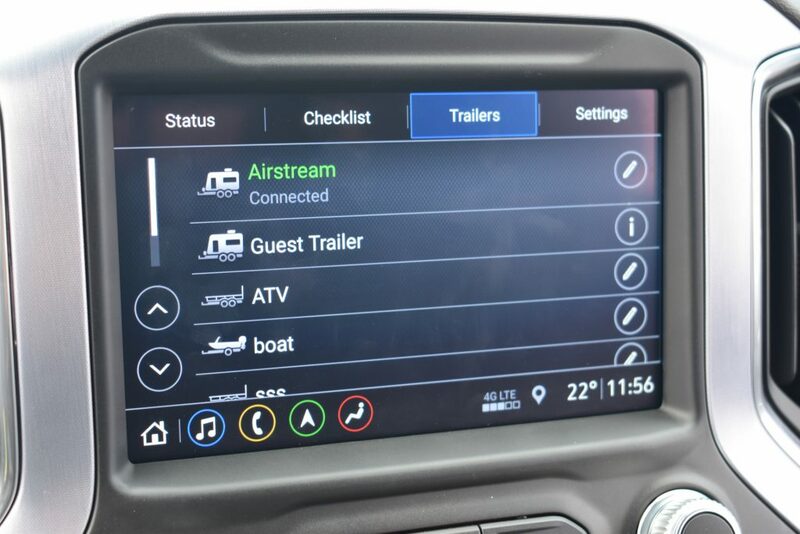 The Trailering App in the infotainment system is the control centre for all of this technology. One of our favourite features in this app is the pre-departure checklist. The system guides you through exactly how to properly hitch up your trailer, showing you diagrams of each step. 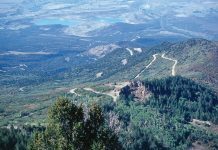 As you go down the list, you can check off when you’ve completed each step, ensuring that everything is done, and done properly, before you hit the road. 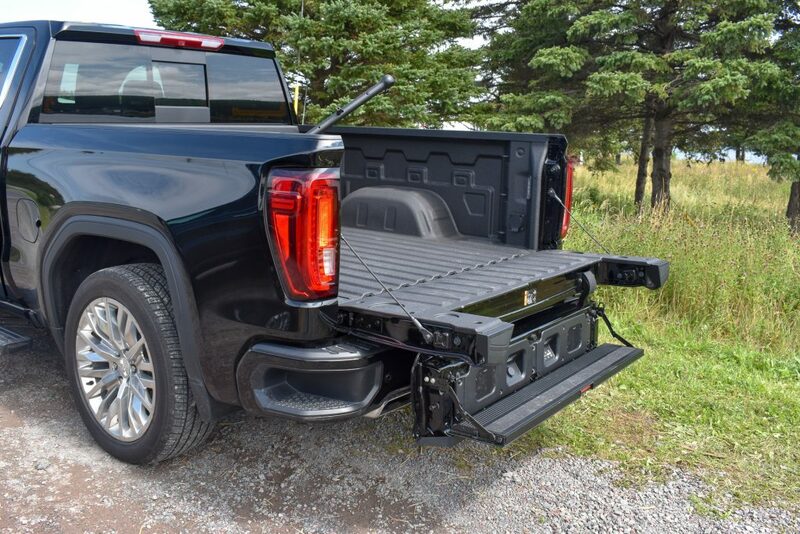 This also available on the “myGMC” smartphone app, so all of the information and visuals are available in the palm of your hand when you’re standing by the hitch.Aligning the ball and receiver used to be an arduous task, but no longer with the 2019 GMC Sierra Denali’s hitch guidance and hitch view camera. The hitch guidance camera helps the driver line up the truck and trailer correctly while the hitch view camera allows the driver to zoom in and get a great view of the ball for precise adjustments. 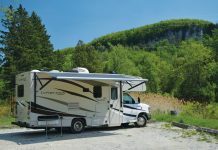 Once hooked up, the hitch view camera can also stay on for a short time as you drive away, so you can ensure the trailer is properly connected. When you select the hitch view camera mode, the truck recognizes that you’re attempting to hitch up a trailer and will automatically apply the electronic parking brake for you, preventing the truck from rolling forward and moving the ball out of perfect position. Another small touch that shows GMC has put some serious effort into making this truck a perfect tow vehicle. There are two cameras mounted under the side mirrors giving you increased vision down the side of the truck and trailer as well. Once you have hitched the trailer up, you can program it into the infotainment system. 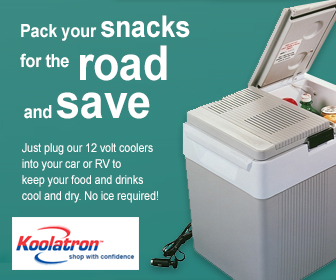 This is handy for anyone who tows a boat as well as a travel trailer. 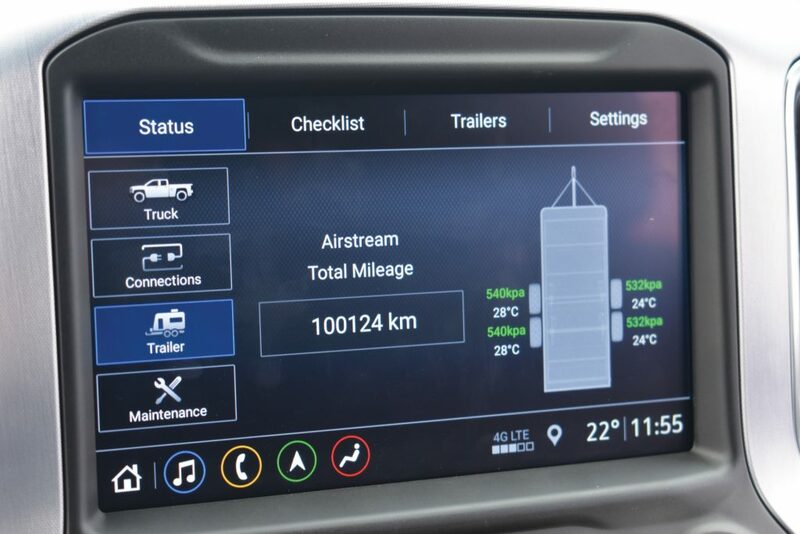 The next time you attach the trailer, the system will remember your Airstream, adjust the integrated brake controller accordingly, give you fuel economy stats and track how many kilometres you’ve towed that specific trailer. Checking the lights on your trailer used to be a two-person operation that usually involved a lot of shouting from the rear of the trailer to the driver as you ensured all your lights were working properly. Gone are those days with the Denali though, you can activate a trailer lightning diagnostic procedure from either inside the cab of the truck or from your smartphone with the “myGMC” app. GMC has also taken steps to combat trailer theft. 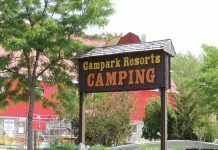 If the truck is locked and hitched up to your trailer and your trailer is disconnected for any reason, the horn will sound and the lights on the truck will turn on. 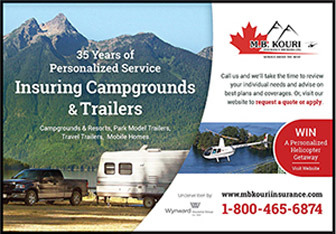 What is also unique about the towing package is the optional trailer monitoring system. 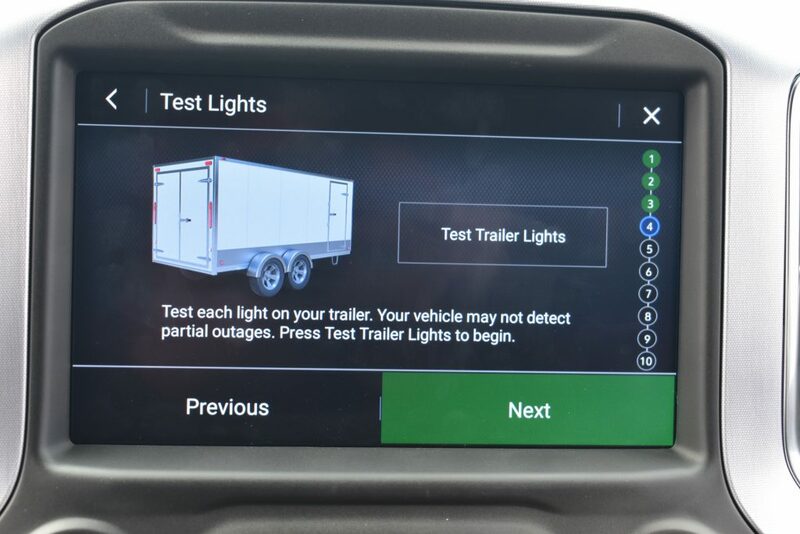 When selected (a dealer installed option), this allows the user to monitor the tire pressure as well as the tire temperature of the trailer, the information is displayed on the infotainment screen in real time. 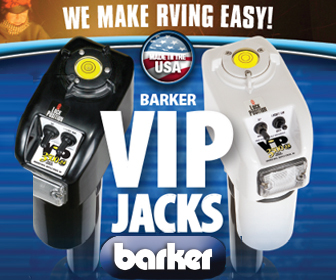 The monitors are not valve-stem monitors, instead, they are installed into the wheel of your trailer. 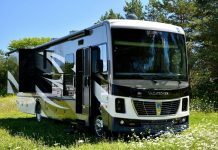 This is an absolutely fabulous feature, tire pressure and temperature are absolutely integral to the towing process for both safety and fuel economy, and we were thrilled to see this offered as a relatively inexpensive option. 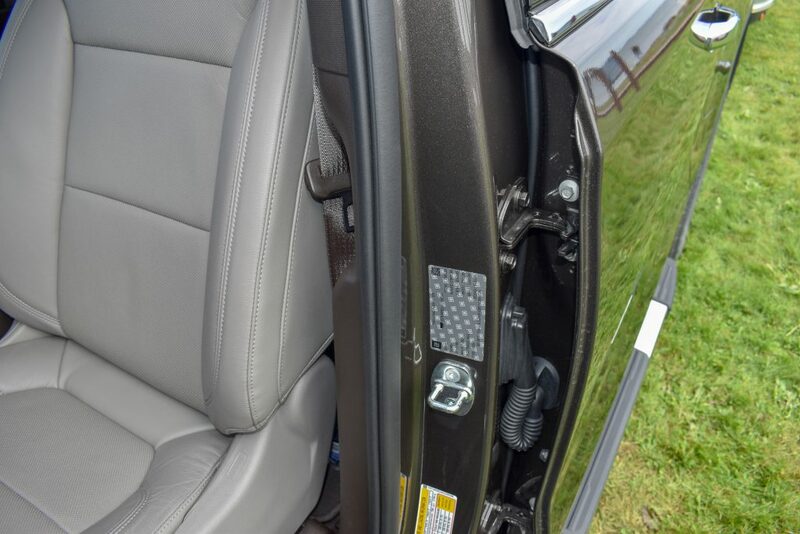 If you look on the inside of the driver’s side door jamb, you’ll notice GMC has placed a label with a host of information required when towing. GVWR, curb weight and maximum tongue weight ratings are all easily available on the label, which makes doing those tedious towing calculations a breeze. We really liked this, it’s a small thing, but shows GMC is serious about customers towing safely. 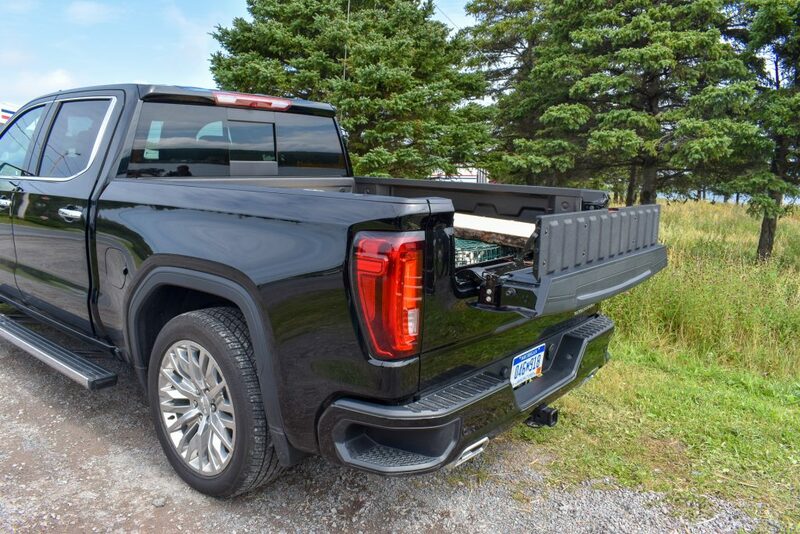 One of the big features that GMC was eager to highlight on the 2019 Sierra Denali is the MultiPro Tailgate. Exclusive to GMC, the tailgate on the 2019 Sierra Denali has not one, not two, but six different modes, each with a different function in mind. This reminds us of some RV design, squeezing as much utility out of an aspect of the unit as possible. The tailgate does open like a normal gate, but many more features are hidden within this innovative gate. When open normally, press a red button inside the gate and a load stop can flip up from the rear of the tailgate, helping to secure long items within the bed of the truck. When the inner tailgate is folded down, it is easier to load things into the bed of the truck. 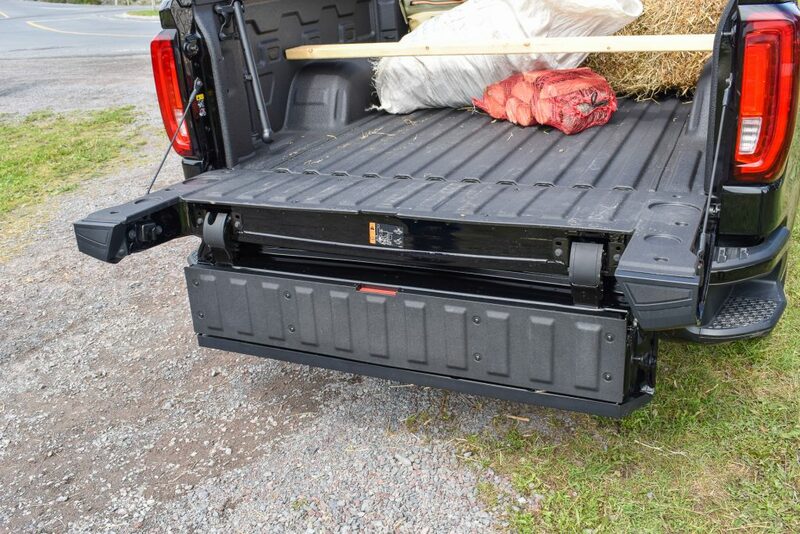 When the primary tailgate is open with the load stop folded down, you can flip the inner tailgate down to a vertical position, which allows for more access into the bed of the truck when loading items. When the inner gate is folded down, you can fold down a step designed to make getting in and out of the bed extremely easy, especially when you unfold the handle in the bed of the truck. It provides a sturdy step for getting in and out of the rear of the truck. With the step extended, you will notice four squares here, where GMC have the given you the option to fit speakers and auxiliary and Bluetooth inputs to this portion of the tailgate. We think the step and handle allowing for easy access to the Sierra’s 62.9 cu.-ft. short box is extremely useful and certainly makes loading things in the front of the bed a breeze. Fold the tailgate back up to its regular position and fold up the inner gate, and the tailgate can be used as a workstation. A high-level load stop is also available from this mode, simply flip up the top part of the workstation. 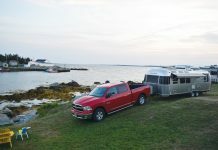 A word of caution though, if you are hitched up to your trailer or have your hitch ball in the receiver of the Denali, do not unfold the inner tailgate as it will make contact with the ball, potentially damaging the tailgate. 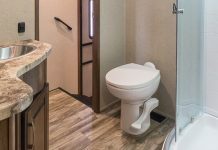 The 2019 Sierra Denali was designed to provide a luxurious and simple towing or trailering experience. 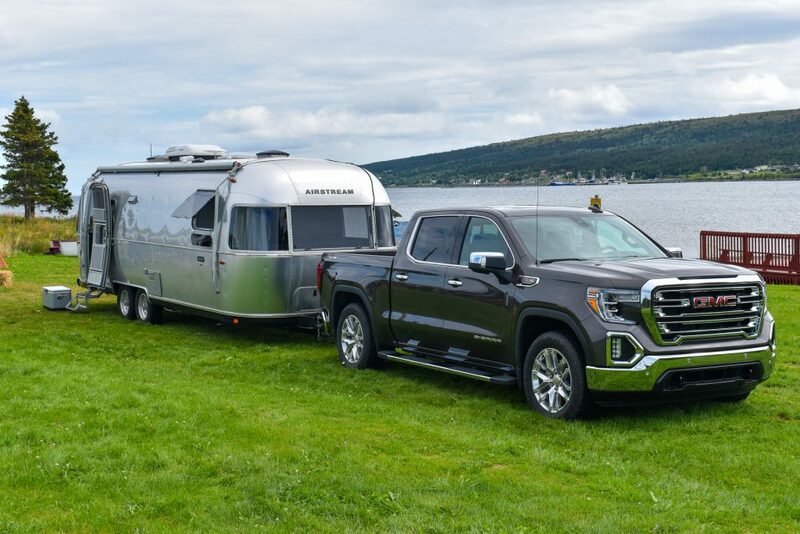 The sheer amount of technology that GMC has included in the Sierra Denali makes the trailering and towing experience a pleasurable and easy one. 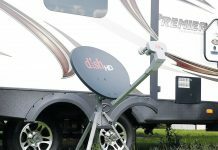 The MultiPro Tailgate provides a useful amount of utility for loading things into the bed of the truck, however, RV’ers need to consider their hitch ball when utilizing some of the features. On the road, the Denali provides a comfortable ride through its industry-first active-ride management and the fuel management system helps to make this a great solo vehicle as well. 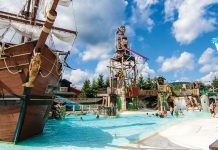 Next articleMake a Splash at these RV Waterparks!